PetsPyjamas is the award-winning No. 1 pet lifestyle website - featuring more than 10,000 pet accessories, mainly from British makers, and hundreds of bookable, pet-friendly hotels, cottages and B&Bs. Orange UK was a mobile network operator and former internet service provider in the UK. We are an all female team who specialise in footwear and accessories and we are hugely fortunate that we love what we do. Eedi is a toolkit for teachers, students and parents, designed to make learning and understanding easier for everyone. 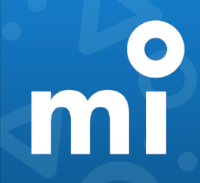 Midrive’s mission is to increase the learner pass rate and help make safer drivers. 1 in 5 newly qualified drivers are involved in a serious road traffic collision within 6 months…. Our business operates across 30 countries and covers the entire value chain of the retail foreign exchange industry. At LFF we are not just a beauty brand, we are a movement. A movement to celebrate mature beauty. To challenge perceptions, and to embrace the benefits of ageing. Hailo was a British technology platform that matched taxi drivers and passengers through its mobile phone application. Founded in London in 2011, the Hailo taxi service was available in 16 cities. The NHS is under increasing pressure and patterns of patient demand are getting ever more difficult to predict. Lantum exists to help release that pressure by making it easier for healthcare providers and sessional doctors to connect and build long-lasting professional relationships – without the need for expensive and bureaucratic, third-party agencies. Positive Luxury’s mission is to inspire people to buy better and influence brands to do better. We award the Butterfly Mark to luxury brands that are committed to sustainability, helping consumers shop with confidence. Vocal Tonix is for people who want to sing for the fun of it but can’t necessarily read music and don’t want the pressure of joining a choir. 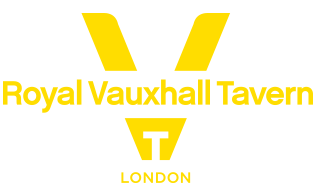 The Royal Vauxhall Tavern is one of London’s most Iconic award-winning cabaret, performance and club night venues which is once again the venue of choice for many leading artists, promoters and the LGBT community.